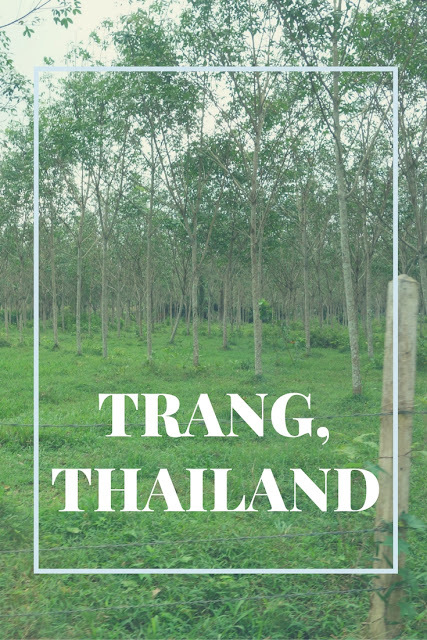 I gave you the backstory on how we ended up choosing a road trip to Thailand as our Christmas vacation, but how did we choose Trang? Whenever we mentioned our upcoming trip, and said we were visiting Trang, we'd get responses like "Where? Never heard of it!" from friends and relatives. Here's what happened. We were looking at Google's map of Thailand for cities that weren't too far of a drive from home. 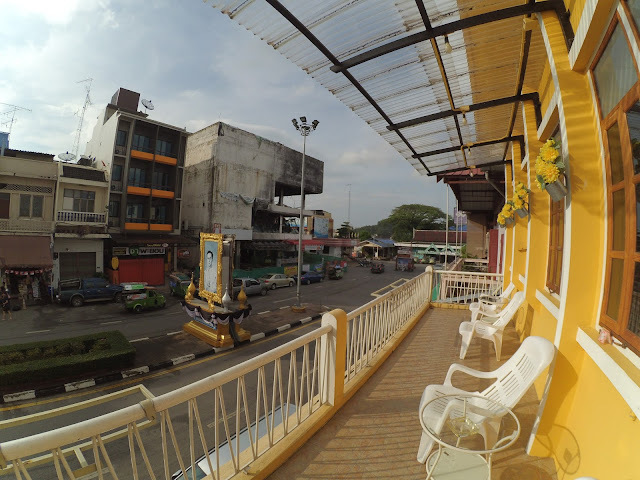 We went to Hat Yai many years ago, and knew that there wasn't much to do in the area, so we crossed that one off the list. Phuket and Krabi are very well-known, but they're less easy to get to by car from Malaysia, and also more expensive because of their fame in the travel world, so we decided against those. That left Trang. When I searched: "Things to Do in Trang" on the internet, references to caves, waterfalls, and islands kept popping up. Those are three of my favorite things, so that made the decision easier. The whole decision-making process, starting from "Should we fly somewhere or drive somewhere? What country should we go to?" to booking the hotel in Trang, took about an hour. When searching for hotels in Trang, we didn't come up with that many options. but did find Mitree House, a bed and breakfast that had great reviews, wifi and parking available, and still had 3 rooms open for the week after Christmas. We were very happy with the large rooms we stayed in, and Angel and the girls appreciated watching TV, even in the selection was a bit weird (Captain America dubbed in Thai and some kind of movie about zombie sharks? I don't know, I was reading a book). The things you're amused with when you don't have a TV at home. 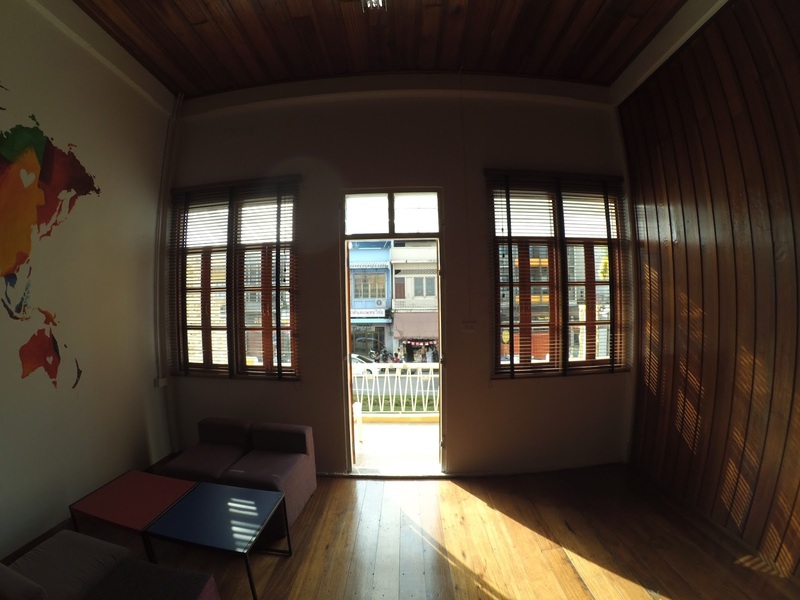 The hotel was reasonably priced--we got our rooms for the equivalent of a bit less than $25 USD a night--considering that included breakfast and a nice, secure place to stay, and parking, we were very happy and would highly recommend Mitree House. Rebekah was on a mission to eat green curry in Thailand, but we discovered green curry doesn't actually exist in Thailand. Okay, right there I'm obviously joking...but for real, we never ended up finding a place that sold green curry. We wandered the town and ate at several little Thai Chinese restaurants--we particularly like the crispy pepper-and-garlic chicken and pork dishes and the basil chicken. Getting cokes and sprites served in glass bottles was fun! At these little local shops, a meal was about 50 Baht ($1.50 USD) but the meals were quite small--Angel ordered two meals for himself every time, though they were the right size for me! There is a night market near the Trang Railway Station that is quite large on weekend nights. There were lots of local snacks and meals available there. Rebekah ordered mango sticky rice and some sort of local dessert which reminded us of cotton candy. Angel tried various fruits and ice creams. Each morning we went to the fruit market--once the family realized the the pomelos tasted strangely much better than the pomelos we're used to in Malaysia, they just had to get their fill of pomelos each day! One entire pomelo was 50 Baht, about $1.50, cheaper than they are in Malaysia! We had a 4 night stay, with three full days in Trang. Here's what we did. We visited this park, which contains a number of waterfalls, on our way into Thailand, before continuing on to Trang, and were very happy we made the stop, as it was really impressive! We walked up to the second set of falls, where there was nobody except our own family, and really enjoyed the natural beauty of the powerful water! A really beautiful cave, with countless stalactites and stalagmites. The cost was 40 Baht (just over $1) per person for the tour and we were oohing and aahing throughout the journey. Except when the guide said something about a crocodile (I think he was trying to say that a stalagmite looked like a crocodile), but Sarah thought maybe he meant there were crocodiles in the cave and she got pretty nervous. On our first morning in Thailand, we headed out to this beautiful beach and found that we had the entire beach to ourselves. There were signs showing the "Tsunami Evacuation Route," which were pretty sobering, considering that most of us remember the 2004 tsunami quite vividly, and we were on the beach just days after the 12th anniversary of the tsunami. Most of us hadn't worn swimsuits, so other than Angel, no one went swimming, but we enjoyed exploring the rocky cliff at one end of the beach and scouting for sand and bits of coral in the sand and the shallows. There were quite a few monkeys hanging out near the beach so we didn't dare get out any snacks. These have several different spellings in English letters--actually, that's true of most of the destinations we visited in Thailand. I assume that's because it's difficult to accurately represent the sounds of Thai in our alphabet. So you might also see these referred to as "Khuan Kaeng Hot Springs". So...this cave. I read reviews on Trip Advisor for this cave ahead of time, and found them hilarious because the overall summary of the cave experience seemed to be, "I felt like I was going to die!!!! And it was the coolest thing ever!!!!" I've visited caves in various parts of the world and I've never had a cave experience like this one. Our party of 7 divided into two boats and paddled down a little river to the cave entrance. The guides had us lie down in the boat for entering the cave, as the ceiling is low and they didn't want us to bump any parts of our body into anything. Once we'd entered some way into the cavern, they had us get out of our boats and take a little walking tour inside some larger caverns. The guide took a family photo for us, and we had a few minutes to look around and enjoy the stalactites, before they guided us back to the boats. This was when it got serious. They had us take off our shoes, lie down, and point our feet so that no unruly toes were sticking up to high. The guide told Dad to take his glasses out of the pocket of his shirt and put his camera underneath his body--and then the two guides began to push our boat through the "Dragon's Belly" of the cave. In this part, no exaggeration at all, the ceiling of the cave and the various stalactites are just inches away from your body. At some parts, the passageway gets so narrow that the boat scrapes the rocks on both sides. For me, this part of the cave was actually oddly relaxing, to simply lay perfectly still and watch the rocky ceiling slide past right above me. I'm a very small person--I've heard reports that for larger people, there is more risk of actually getting some part of your body knocked or scratched by the passing ceiling of the cave, so this tour is not recommended for those who are uncomfortable with small spaces. Our whole family thought it was really cool, and not too scary, although the more responsible people in the group (i.e. Mom and Dad) were thinking about things like flash floods and stuff that could make this adventure a little too dangerous. Just a few kilometers from this cave, we found a little place to rent kayaks, and embarked on kayak races against each other in a small circular channel that flowed around a limestone 'mountain' of sorts. I'm just as guilty as the others! I've never been to, nor even heard of Trang before! It looks like such an interesting place to visit - I am most curious about the hot springs and the wildlife sanctuary! Beautiful photos, and such a great post! I almost believed you for a second there when you said green curry didn't exist in Thailand and started questioning my knowledge of Thai food, hahaha. I haven't been to that part of Thailand but it looks like a great place to visit! That waterfall is gorgeous and that beach + the hot springs!!! <3! This looks like a lovely place to visit. The waterfalls are amazing! I can't believe how cheap the lodging was. Great fine! Thailand looks amazing! I can't wait to visit one day!! Looks like such a fun trip! And it's always fun to see coke bottles in other countries. I don't know why, but I love it. These pictures are amazing! I'm dying to go to Thailand, it looks incredible!